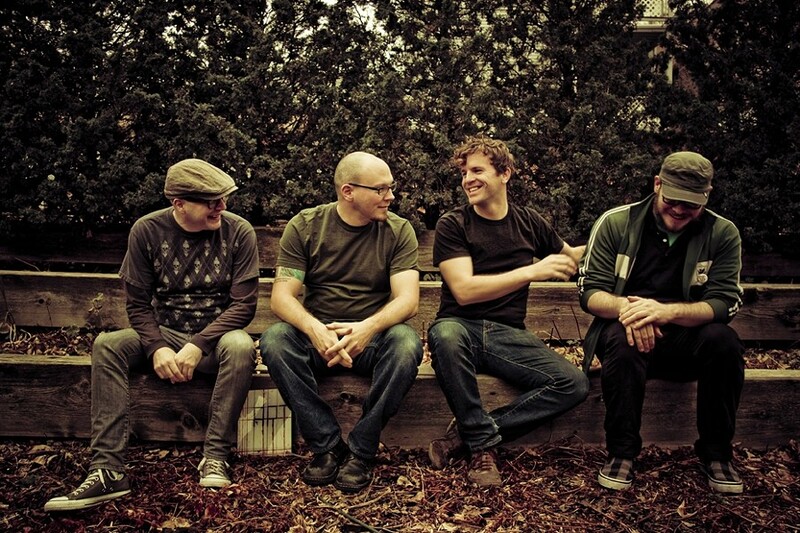 Chicago's Smoking Popes release an awesome record! The Smoking Popes are channeling their inner high school outsider on This is Only a Test, the band’s first concept album that chronicles the hopes and dreams, heartaches and pitfalls of an awkward adolescent. CHICAGO SOUNDS : The Smoking Popes hit SLO Brew on March 24 to support their excellent new record This is Only a Test. Ah, unrequited high school love. Who can’t relate to those tender moments? And then there’s the idealism, the hatred of rules mixed with feelings of invincibility, chronicled on “How Dangerous”: What if I was not afraid of what anyone might say? And what if you stood with me side by side all the way? In our hearts do we believe that the truth will set us free? Whoa oh, there’s a world out there just waiting for you and me. Let’s see how dangerous we can be. Caterer’s lyrics are spot-on—funny in the same way King Missile or Cake’s are funny, ironic, wry, quasi-bitter. On the album’s title track, the band takes on the ultra-popular, reminding them that high school “is only a test”: Congratulations you made the team. Looks like you’re living the American Dream. But the Owls are not what they seem, and you can’t trust the referee. The game is fixed and here’s the prize: lifetime supply of chocolate-covered compromise, and the long slow painful demise of your autonomy. Now everybody thinks you’re so great and they all want to be your prom date, but don’t be too impressed. This is only a test. These are deliciously hooky songs played with punk rock spirit and sung with Caterer’s patented crooning lyrics. Imagine Bing Crosby fronting NOFX. Between “I Don’t Want to Go to College,” “Punk Band,” “Freaking Out,” “Diary of a Teen Tragedy,” “Excuse Me, Coach,” “I’ve Got Mono,” and “Letter to Emily,” Caterer manages to cover the entire high school experience. The Smoking Popes, based out of Chicago, hit the scene in 1991, but I didn’t discover them until their 1995 album Born to Quit fell into my hot little hands. I reveled at how clever Caterer was, like his fever dream song “Rubella,” in which he falls in love with his disease: I’m inflamed with desire and it’s spreading like wildfire. She doesn’t know it but she’ll soon be mine. It’s just a question of time. Rubella. I’m insanely obsessed and I simply will not rest. She doesn’t know it yet but she’s the one. And I won’t stop until I’m done. Rubella. And the heart that she has stolen has swollen twice its natural size. I’ve lost six pounds since I laid eyes on her. Rubella. I’m in love with a girl; she’s affected my whole world. She doesn’t know it but she’s inside me. And now I’m gone completely. Rubella. In short, The Smoking Popes is an awesome band, and now for the first time ever, I have a chance to see them live when they play SLO Brew on Thursday, March 24 (7 p.m.; all ages; $12 presale or $14 at the door), with The Mighty Fine opening. The Mighty Fine is a local act that recently signed to San Jose’s Solidarity Recordings. Other SLO Brew shows for the week include Diego’s Umbrella on Friday, March 25 (7:30 p.m.; 21-and-older; $7 presale or $9 at the door), with Tropo opening; Unfinished Business on Saturday, March 26 (7:30 p.m.; 21-and-older; $10 presale or $12 at the door); Suicide Silence on Sunday, March 27 (8 p.m.; all ages; $14 presale or $16 at the door) with I Declare War opening; and Katchafire on Monday, March 28 (7 p.m.; all ages; $20 presale or $22 at the door), with Tomorrows Bad Seeds opening. 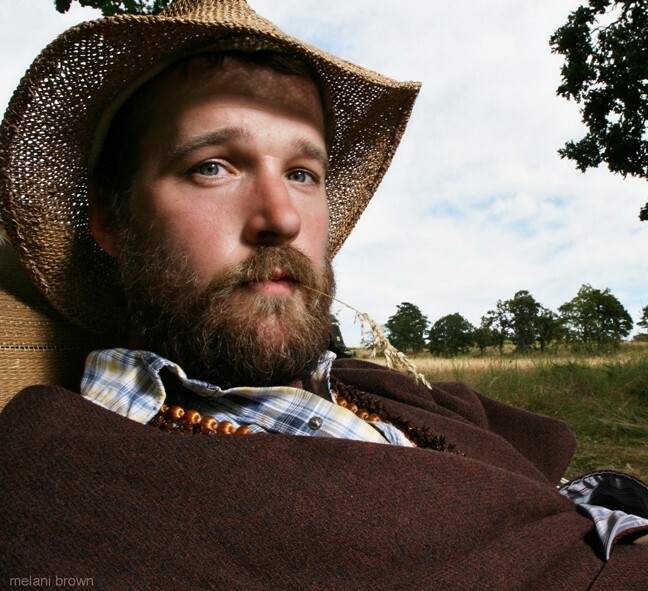 FOLKSY : Run on Sentence (aka Dustin Hamman and whatever musician friends he’s drug along) plays The Porch on March 24. Here’s what’s happening at Steve Key’s Songwriters at Play showcases: On Thursday, March 24, at The Porch, two touring bands— folksy Run on Sentence and country rockers Trouble in the Wind—meet up to share the featured set in Santa Margarita (6:30 p.m.; all ages; pass the hat). 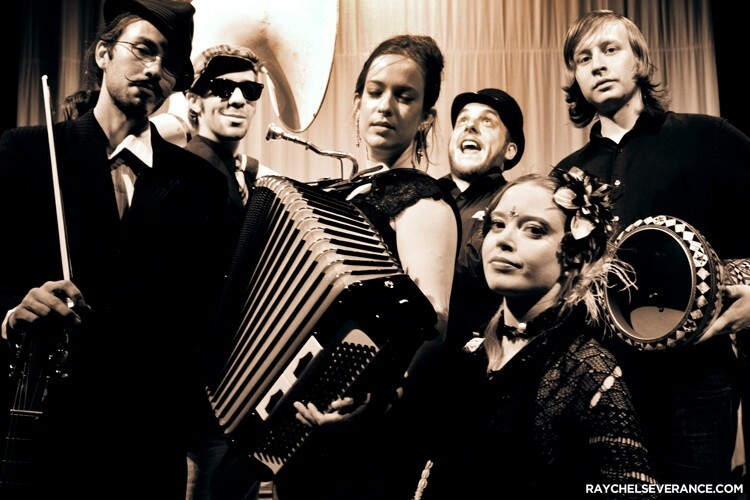 CIRCUS FREAKS : Portland’s awesome Underscore Orkestra plays Steynberg Gallery on March 29. The Steynberg Gallery hosts Portland’s crazy The Underscore Orkestra, which features everything from belly dancing to music of the Balkans, klezmer, gypsy, jazz, and swing on Tuesday, March 29 (6:30 p.m.; all ages; $5). A few months ago, Severin Browne stunned a 70-plus-person audience at Sustenance Cooking Studio with a couple amazing sets of songs—both originals and select covers. The less-famous brother of Jackson is a huge talent who brought an evening of warmth, humor, and intelligence to the cooking studio, which served up a tasty menu to those in attendance. Now he returns on Saturday, March 25, for “Tapas & Tunes,” an evening featuring delicious tapas plates from 6 to 7 followed by an evening of music with Severin at 7 p.m. ($25; all ages; BYOB). The former Motown recording artist and staff songwriter has an affecting voice, masterful guitar skills, and wonderfully crafted songs. Don’t miss this groove master! Call 543-2186 to reserve your spot. Linnaea’s Café gets bluesy on Saturday, March 25, when Chicago southsider Barry BiG B Brenner brings his Windy City blues to the café from 8 to 10 p.m. Playing six- and 12-string guitars, as well as National Resonators, he’s a lifelong practitioner of fingerstyle guitar, bottleneck slide, and ragtime picking. BETTER MUSICIANS THAN SPELLERS : Reggae act Inhale plays Frog and Peach on March 25. Take a deep breath! 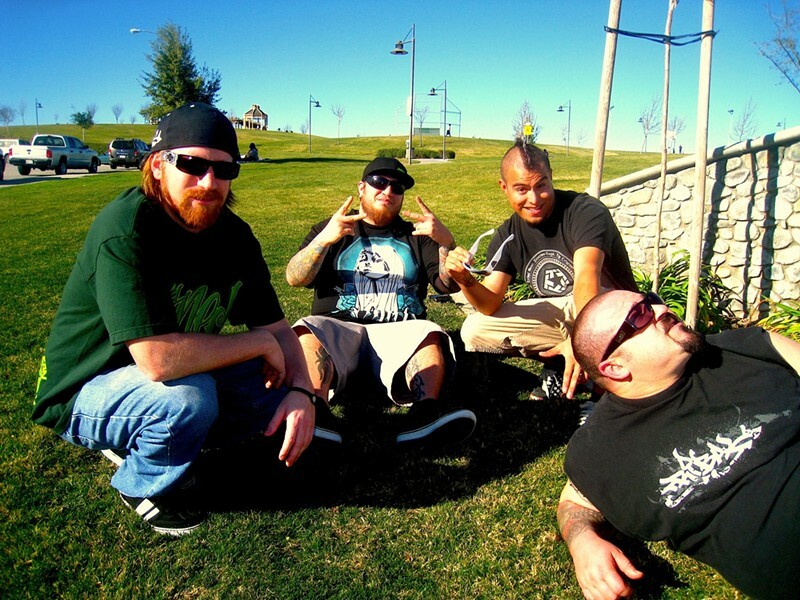 Reggae act Inhale is hitting Frog and Peach on Friday, March 25 (9 p.m.; 21 and older; free). The semi-literate band had this to say on myspace: “Formed in early 2005 and ReEst. 2006! With the love of making music, our Dream is to Create a Vibe and Sound that the Entire World can Enjoy! Willing to be an independent band, we Strive to book Shows, Sale Merch; Cd’s and T-shirts, while maintaing the essential Energy to Perform the best show possible. We aim to create an atmospher of positive vibes and bring a certain uniqueness to the Stage.” Spelling, capitalization, and complete sentences be damned! These guys are HIGH on life. “Making Music our life, we push strongly to be heard by anybody and everybody who is willing to Listen and Enjoy good Music and a good Time. REALLY HIT US UP IF YOU WANT TO BOOK A SHOW! We keep everything as Real as possible, not trying to be who were not, we Write original, we are original and thats what makes a Great Band, no make up, no hair die, no tight pants or what ever the trend is on TV and in Music on the Radio.” Crap! I was hoping for some tight pants. 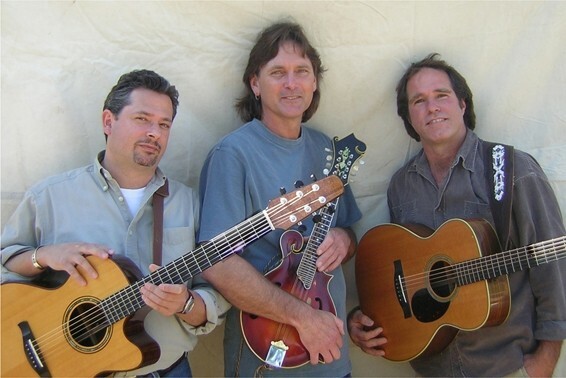 THREE FOR THE ROAD : Together for almost 20 years, Keith Greeninger, Roger Feuer, and Kimball Hurd are City Folk, playing March 25 at Coalesce Bookstore and March 26 at Castoro Cellars. You’ve got two chances to see City Folk as they combine their compelling sound, award-winning songwriting, stunning three-part harmonies, and expanded improvisational arrangements into unforgettable SLOfolks concerts. Together for almost 20 years, Keith Greeninger, Roger Feuer, and Kimball Hurd play Friday, March 25, at Coalesce Bookstore (7 p.m.; $20; 772-2880) and Saturday, March 26, at Castoro Cellars (7:30 p.m.; $20; 238-0725). Hear them on Sonnie Brown’s “Song Town” on KCBX 90.1FM on Saturday, March 26, after 2:30 p.m.
Acoustico, a local folk-rock duo featuring David Orr (vocals and guitar) and Valerie Cornejo (stand up bass and vocals) has a flurry of upcoming shows. 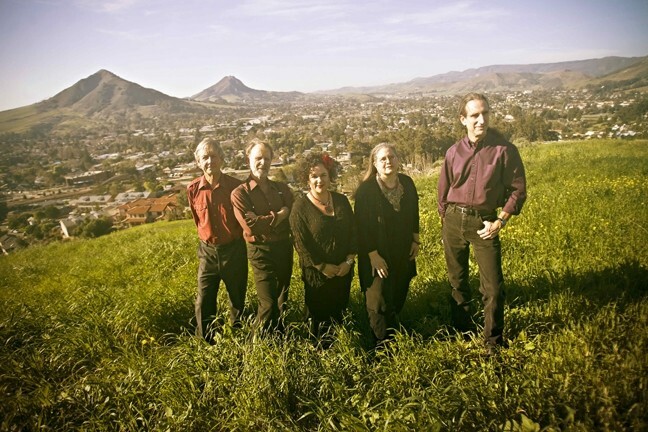 They play the Gather Wine Bar on Friday, March 25, from 7 to 10 p.m.; The SLO Down Pub on Wednesday, March 30, from 7 to 10; and Linnaea’s Café on Sunday, April 3, from 8 to 10. Sultry salsa hits SLO Town on Saturday, March 26, with a performance by De La Bahia at the Steynberg Gallery (7:30 p.m.; all ages; $10, or $5 with a student ID). Bring your dancing shoes! TERRACE HILL HEROES : Café Musique will bring their stirring sounds to Painted Sky Studios on March 27. Café Musique continues to take the county by storm, this time showing up in Cambria on Sunday, March 27, at 3 p.m. in Painted Sky Studios. The last time I saw them, I literally wept at their stirring performance. I also laughed, thought about doing a solo tango, and was fully amazed at the quintet’s musicianship and wildly rich musical textures. Tickets cost $20 (927-8330) and are worth every penny.